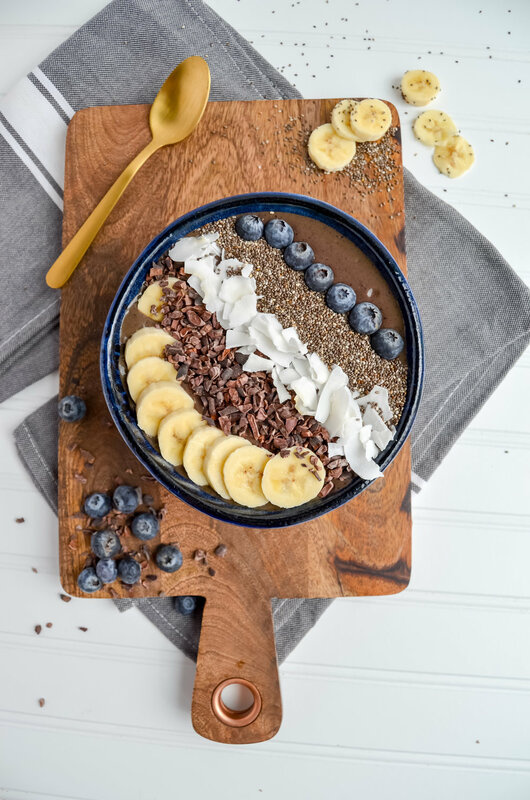 This morning green smoothie recipe is full of simple, delicious and nutritious ingredients that will keep you energized and ready for the day! 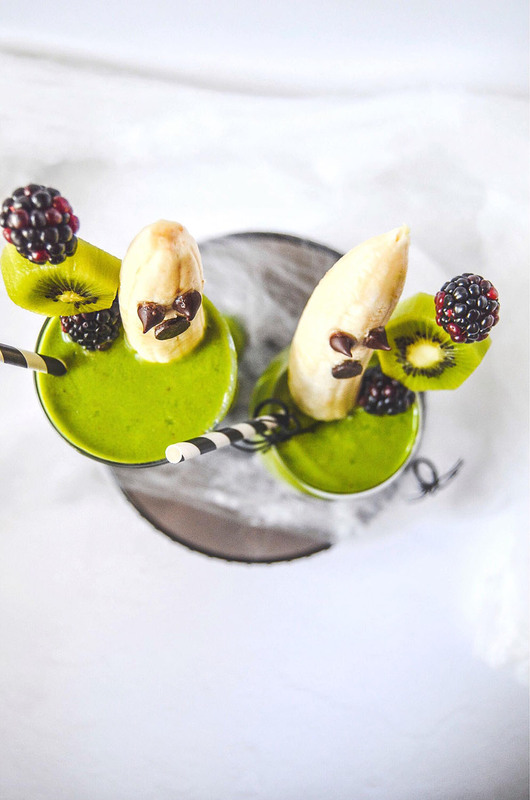 Everybody needs to have a go-to green smoothie recipe in their repertoire. This recipe I’m about to share with you has been my ol’ faithful since college. When I don’t know what to make in the morning, or if I’m in a rush, all I have to do is pop a few simple ingredients from my freezer into a blender, and voila! I am good to go. I’ve seen some people look at green smoothies, their nose wrinkled in disgust, saying things like “that’s going to taste like dirt!” Well, surprise! 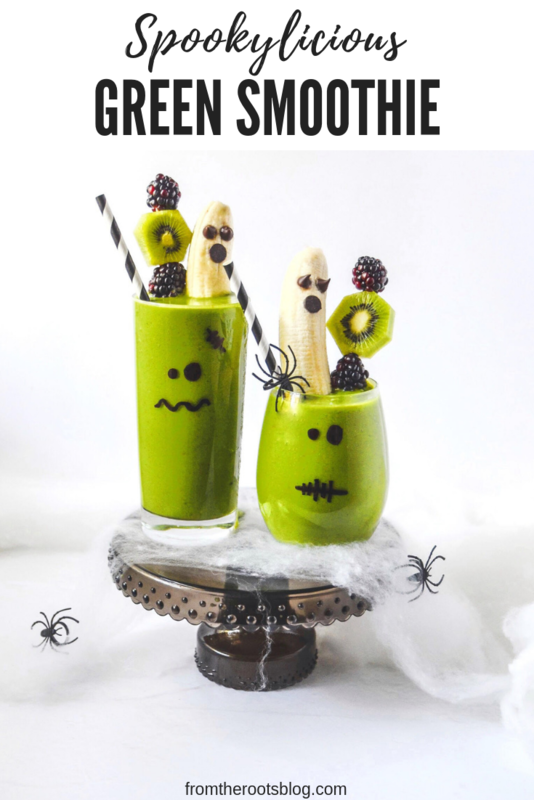 That is quite the contrary with this green smoothie recipe! This smoothie tastes like a creamy vanilla almond milkshake! One of the major reasons why I still use this recipe is that I can get most of my picky friends to drink it, especially those who do not care for veggies. 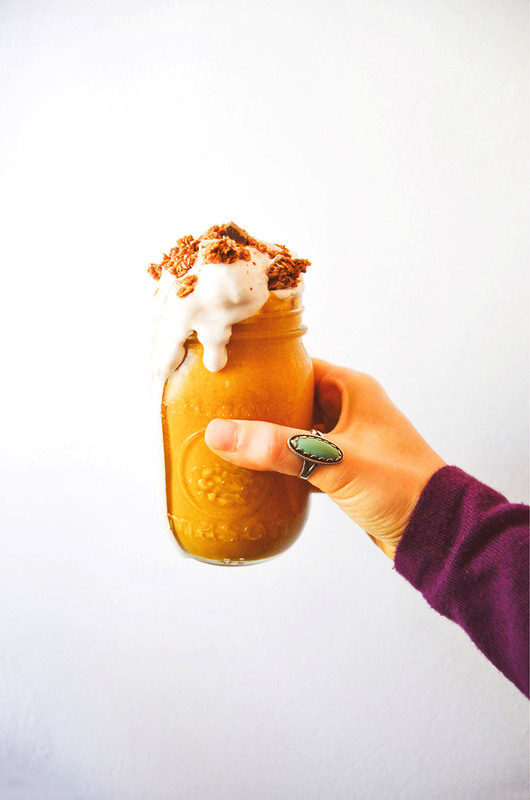 The veggies in this smoothie are hidden by the addition of fruit and almond butter… Even I forget that it’s healthily packed with veggies! There are many great health benefits to this five-ingredient green smoothie that will keep you energized and ready for the day! Fruits are a good source of energy, but eaten alone will only provide short bursts of energy. 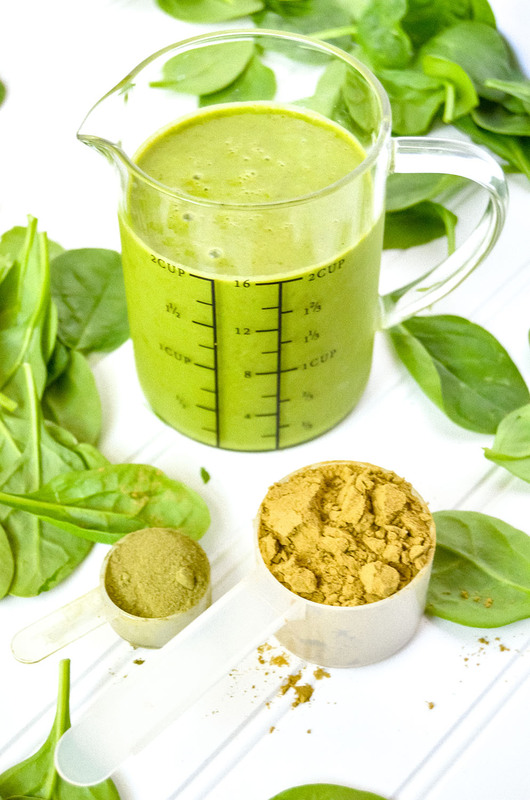 If you add a higher content of veggies, green smoothies have a balanced sugar content. This smoothie is also very filling as it contains high amounts of water and fiber. As a result, if you are trying to lose weight, green smoothies will help fight hunger and cravings while helping the pounds melt off easier! 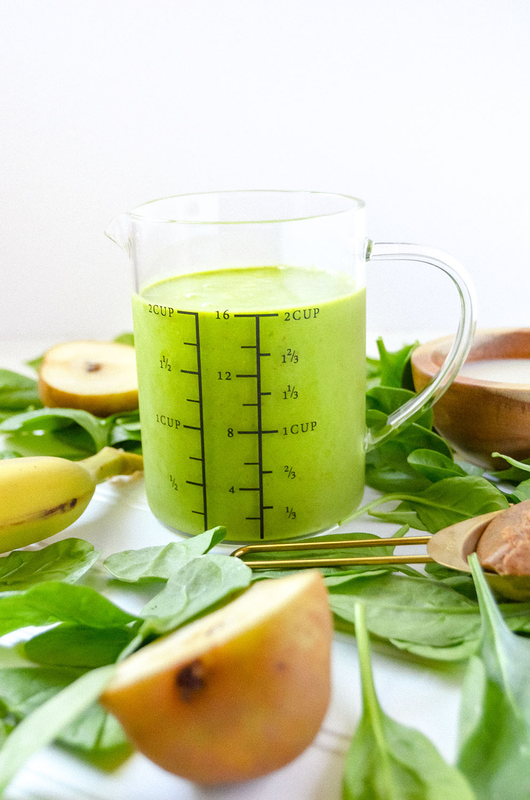 The base for this recipe consists of a bosc pear, banana, spinach, almond butter and almond milk. I usually start my smoothie out with these main ingredients but if I want to step up my nutrition game, then I will add 1 scoop of superfood green powder, 1 scoop protein powder, and top with hemp seeds. You could also sub some ingredients depending on what you have on hand. For example, if I am out of pears then I will use 1 cup frozen berry medley or if I am out of spinach then I will use kale or mixed greens. This green smoothie recipe is full of simple, delicious and nutritious ingredients that will keep you energized and ready for the day! If you would like this smoothie to be colder, add 1 cup ice to the mixture and blend until smooth. 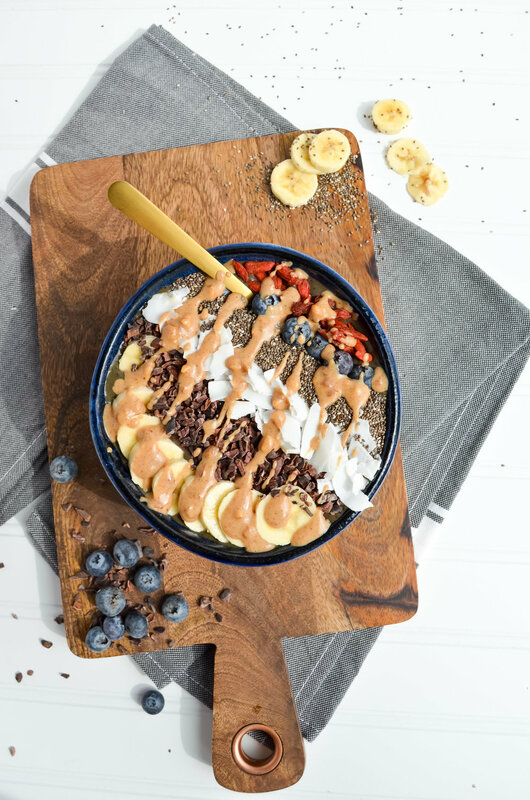 Add superfood and protein powder to take your green smoothie to the next level! For easy preparation, combine the pear, banana, spinach and almond butter to freezer Ziploc bags and store in the freezer until ready to use. 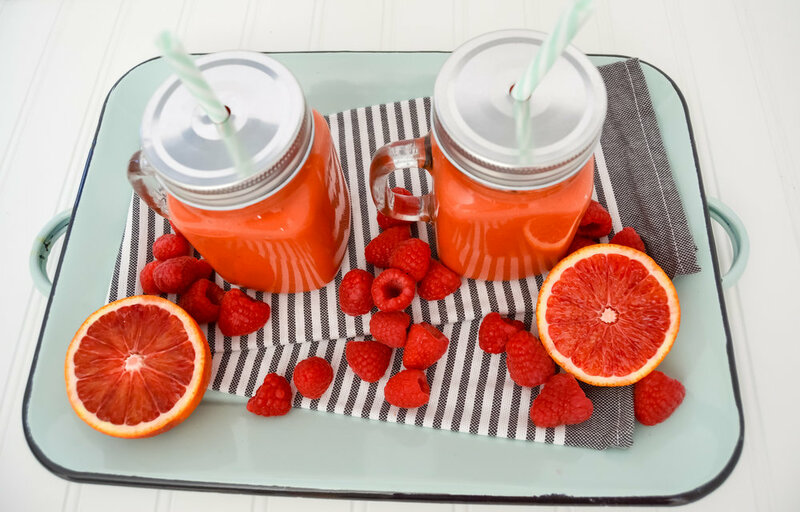 Just throw the bag into the blender, add milk and blend for a quick morning breakfast smoothie! 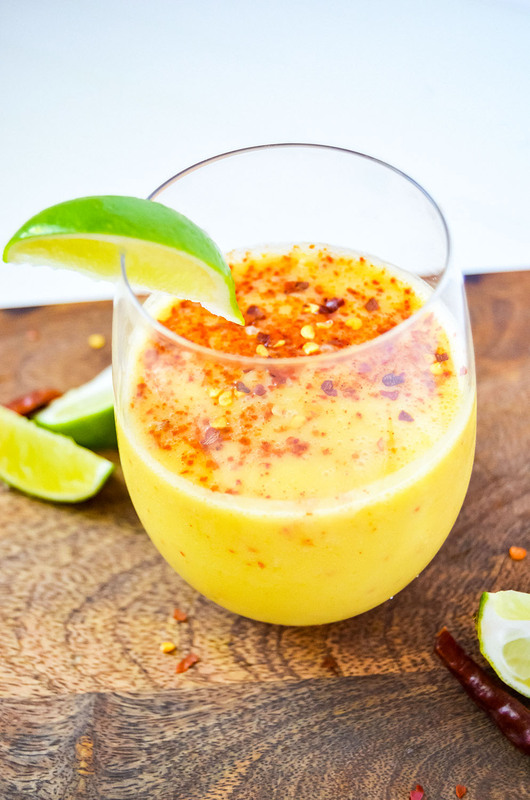 Anti-inflammatory and detoxifying chili lime mango smoothie! 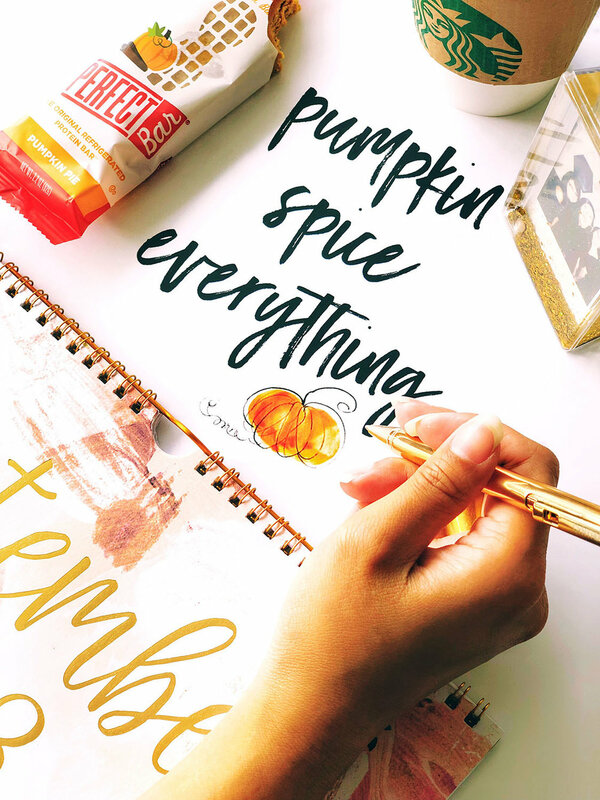 Sweet, tangy, and subtly spiced. Perfect for Cinco de Mayo! One thing you must know about me, I love spicy food! There is just something about adding a dash of sriracha or hot sauce to a meal that takes it to the next level! This recipe was inspired by an Instagram post I made a while back with my favorite afternoon snack combo, mango, and chili lime seasoning. This seasoning mix brings out the flavors of the mango while adding the perfect amount of heat to it. For this smoothie, in lieu of the premade seasoning mix that contains a fair amount of sodium, I have used chili pepper flakes and fresh lime instead. Chili peppers contain capsaicin which has proven to be an aid to weight loss, helpful in treating cancer and relieves pain. Chili peppers pair great with fresh ginger root to detox the body. 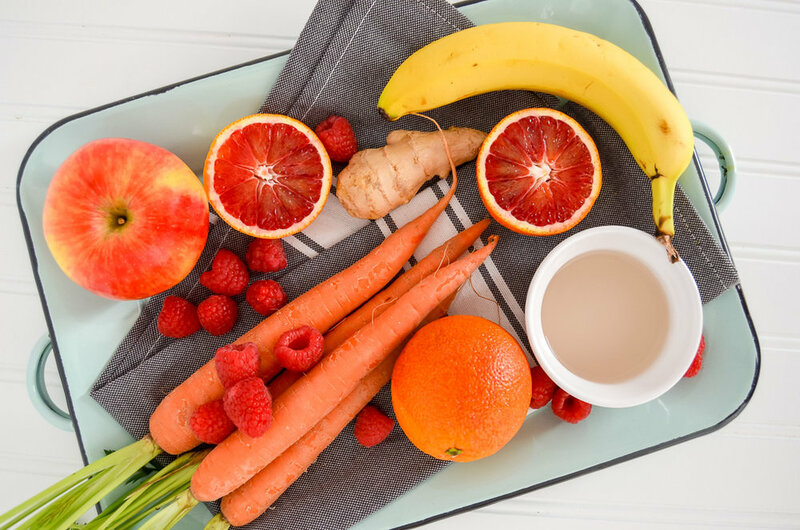 This power couple detoxes the body which eliminates any excessive toxins that are present in the bloodstream, liver, and other excretory organs. 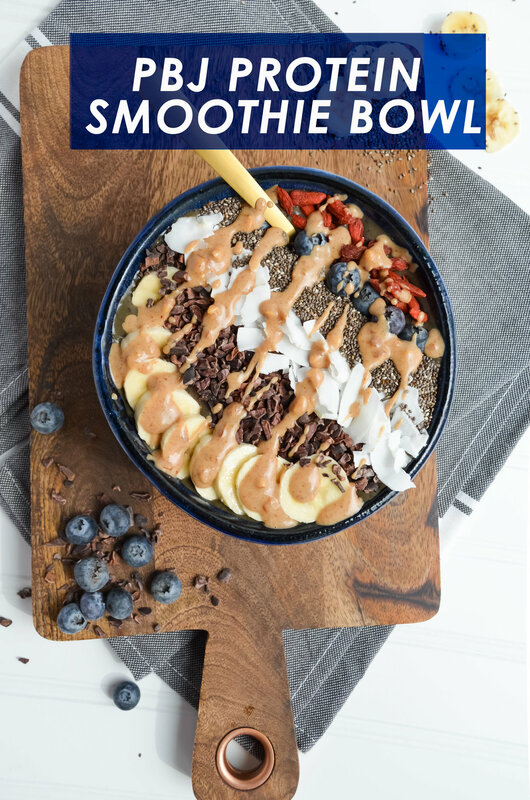 This power couple also provides a concoction that has anti-inflammatory and antioxidant properties to support the cleansing and protection of your body’s main system. Since ginger, chili peppers, and lime can provide an intense flavor, mangoes, as well as coconut milk and bananas, balance the flavors out. At the end of it all, the harmony of the flavors-- it’s purely delicious! In honor of #cincodemayo, you could easily make this smoothie recipe into margaritas by adding tequila! Don’t forget to rim your glasses with lime and the chili lime seasoning!